Julie has been undertaking spiritual work for 18 years and imparts her knowledge of meditation and inner experiences through her writing. There are many techniques to practice meditation and this is yet another of them. The third eye is your gateway or door to your inner world, your Self, and being more in yourself is a sure way of being centered and focused in your day to day activities. Meditation takes many forms to different people. Relaxation to some is their form of meditation, walking in a forest, along a beach, sunbathing by the pool is to some a form of meditation. Anything that allows a person to be with themselves and out of their normal world. Though to some relaxation methods are not enough, there is still the senses to deal with. Sounds and smells pull you out of your relaxation very easily. High levels of meditation take you out of your senses and hopefully out of your mind, at least your ordinary level of thinking. That incessant blah blah blah that goes around in your head - it's such a drain to hear this over and over and over. Meditation using the Third Eye is a way to go beyond that level of the ordinary mind into deeper states of consciousness. It is the way of a Master to be out of his mind completely, total bliss, total space of centredness and nothingness. Why would a person want a state of nothingness? Once you've experienced this peaceful space void of any grossness that years and years of anxiety or burdens have given you, you will feel great relief. You realise your world is so heavy in comparison to deep states of meditation. Relaxation does not go deep enough for many. Getting out of your mind is no simple task. It takes practice. Going deeper into the Third Eye space you get a sense of going outward. 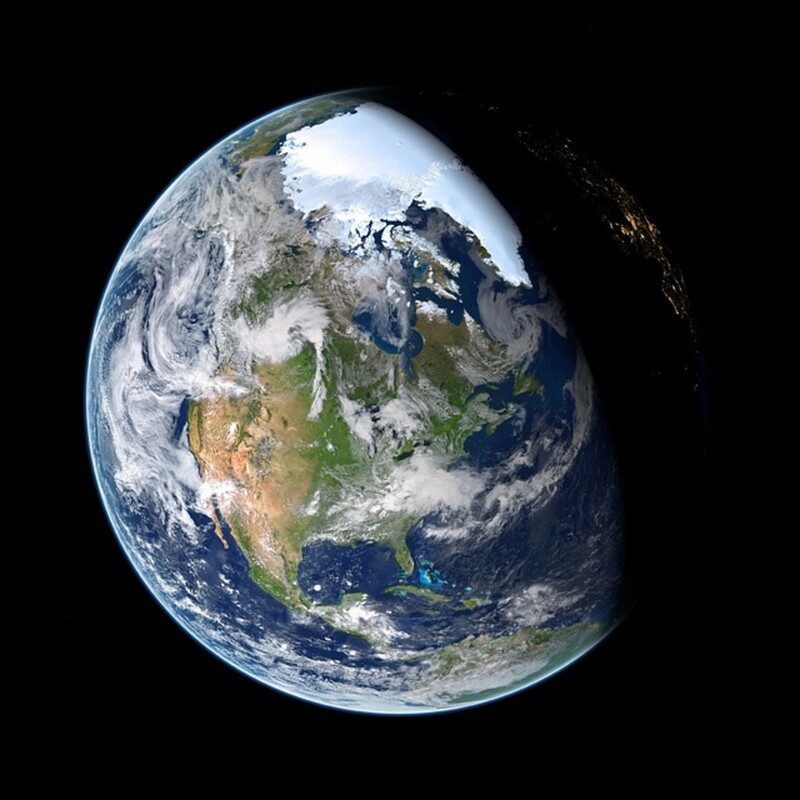 At the same time the world you left behind gets smaller, you no longer hear distracting sounds. This outward space comes from your inner space which becomes void of the senses the deeper you go. Practising resting on and in this space helps to quieten the ordinary mind. It is in this space that you can begin to watch thoughts. Focus on the space which presents lights, colors, blackness, purple space, a sense of peacefulness. You realise you are not in your ordinary mind. Though as soon as you realise this you are back in the ordinary mind! But the more you practice resting in the Third Eye space the easier it is to rest yourself on something far superior than the couch with the TV on. These are some of the third eye meditation benefits and as you push your meditation practices you will be able to push the experiences further and retain consciousness of these experiences. At the centre of the forehead between the eyebrows you may get a sense of pressure, pulsing. At first you may feel absolutely nothing. You may start to see (with your eyes closed) lights and colors, flashes or light, tunnels, vortexes. In the beginning it can be quite strange, a bit scary. With practice and use it will become more and more apparent that you are using your Third Eye. How does your Third Eye help in daily life? The Third Eye is not just for meditation. It brings awakening. In daily life to be centered in your Third Eye helps you keep focused during the day, at work, in the supermarket, even in the home. When you start to feel scattered by everything external, the radio, TV, kids screaming, traffic, rushing around, centre yourself in the Third Eye. If you have an important meeting with the boss or new clients, use the Third Eye to gear into the person you are addressing. It is clearly marked that the person you are talking to knows you are focused on them and not the clock on the wall. With this focus you will take in more, remember more details. You may actually enjoy your day more. You may have heard that the third eye is dangerous. This statement is perplexing to me. Perhaps because in the 10+ years I have been aware of using my third eye I have found the third eye to be a stabilizing influence in my life. I have never had experiences that were detrimental in fact the opposite is true. The ability to remain centered and in a state of stillness while chaos reigns is a big plus in my book. The Third Eye helps you become more aware. You see things around you more sharply. Colors may seem brighter, smells more pungent. Effectively you are more present in the world. Your ordinary mind has been sidestepped and a high state of consciousness has come into your normal world. Use your Third Eye as your first line of vision, use the eyes as the second level of vision. Vision in this sense becomes more than what you normally see with the physical eyes. Vision covers more than what you see. It lifts your senses. Vision is not just what you see, it is what you hear, smell, touch, sense and what you come to know beyond the physical facade of our normal daily life. When you look at someone you see into them, you notice them the person. It's not something spooky like they become like an ethereal figure in front of you, though you may see their aura - that's a common effect of a Third Eye awakening. Vision is a word often touted in spiritual circles. It does not refer solely to the external sense of sight. You actually start to SEE. 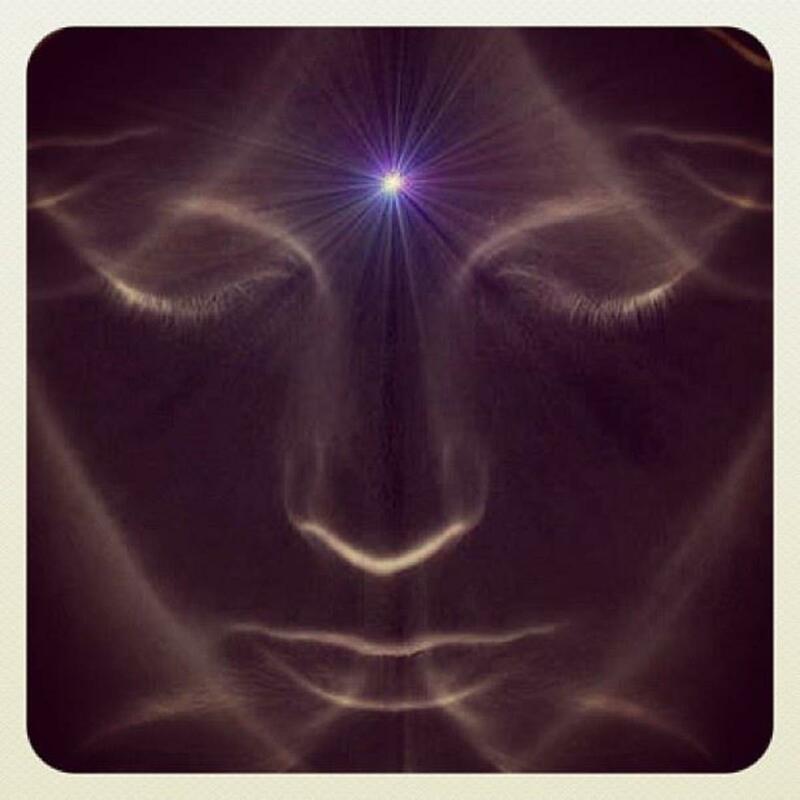 Awakening the Third Eye Workshops are conducted on a regular basis in many countries. If you get a chance to participate I highly recommend it. I hope you get as much benefit out of using your Third Eye as I have. My dreams are often prophetic and in technicolor. I think it's so I don't forget them. Interested to hear of the astral traveling experiences in black and white or color. Those of you who have astral travel, is it in color or black and white? Hi Joseph, this is typically a Third Eye experience. Purple orbs or vortexes are common with inner vision at a deep level. I'm glad you're a skeptic. Go with experiences, always. Even then your mind will question your sanity! The video on this hub can help you stabilize and expand on the experience. If you want to discuss further please get in touch via the FB link. I'm not exactly sure what any of this means but I Just did remote energy work from a video on YouTube that I found. Honestly thought it was bull and I'm usually sceptical on things like this. But about in the middle of the healing, I briefly experienced uncontrollable rapid eye movement. Not long after that, I started seeing purple orbs (while eyes are closed by the wat) continuously shrinking. It continued till the healer told me to bring back myself to reality and the space around me. These experiences are relevant to you personally and not likely to be a generic experience, like colors or lights. The space you go to is what you want to focus on, and perhaps in the beginning don't be too mindly with the words that are being presented. Questions you could ask if these spaces present again is How does this make me feel? What is being conveyed that I need to take notice of? Is this a familiar space or completely new? Deciphering meaning can be a wild goose chase if you are using your ordinary mind to get clarity. That might not help but often it's not about what you see but the fact you can see. To go further with your experience I am inviting you to contact me via my astraljules FB page if that will assist you to get more clarity. Hello everyone , I've seen a lot of things while closing my eyes and also meditating . Though I've not been able to understand the meaning of most of what I saw. I saw the word (La Gersona and La Suna) and I saw myself in a new place (world) with a guy. In the place there are some people who didn't put on footwear and the environment were kinda new to me. He told me that I was in the world 1993. I ask him about the month and the day but he told me that there was no month or day in the place but only years. I've seen other images like faces and texts. I also found out that I usually read some texts or books during meditation but after I become conscious the text vanished and I'm unable to remember what I read (so as other images I've seen recently). I recently saw- 65th KPN........PDF (I can't remember what's on the dots). I also saw the names Praiz Braine and Judge Walters but didn't know the the meaning of these names and some other names and images. Please how do I get the meaning of what I see when I close my eyes or meditate. I've had countless encounters when I close my eye including meditating but didn't get the meaning. I also feel some vibration in my body like an electric shock whenever I heard any spiritual-motivational words (Kundalini) . I hope to get to my spiritual height. I've search google for some of the meaning of my vision but I found nothing. Please any explanations? Thank You Jewels for the reply. I have sent you message in your fb page, please check. Thank you for your comment. There are many factors to consider here. Firstly, with meditation, it is common to experience physical ailments. This is because meditation helps to release tension in the body. It is not the meditation causing the pain, but the underlying tension and the reason for tension. Tension is often held in the cranium and the head generally, particularly for those who have a tendency for excessive thoughts, worry and stress. Many things could be causing your wife's condition and I suggest you seek medical advice to rule out any underlying issues. Dehydration, for example, causes headaches and sleep issues. I invite you to send private messages via my Facebook page, the address is on my Hubpages profile. It's best to get clarity on what is happening, and I'll be able to ask you more questions. My wife have been practicing meditation for the last 1 year and till now she have faced many physical problems but all of them seemed to be gone now. The last problem she faced was experiencing electrical shocks when touching any metal objects and even I have experienced it a couple of times when I touched her. It was really scary. It happened during then month of December 2017 till mid March 2018. Now she is experiencing a throbbing and pulsing headache after she wakes up and it continues the entire day. She cannot sleep at night because she said me when she tries to sleep then she feels that some kind of internal force wakes her up or she sees a flashing light with closed eyes. Due to this sleep issue she feel low during daytime and as the night approaches she feels better and after midnight the headache almost vanishes. This is happening everyday. I am really worried about her health and each day she is getting depressed due to lack of energy level and body weakness. Is it a side effect of meditation and is it normal? Will she be normal again after a period of time ? Thank you for commenting, and I hope you have many more internal experiences. enjoy. Thankyou for your comment. It looks like you and Healing Hands below might have been on the same train! Enjoy your experiences. Be careful in public places that you do not open yourself too much to the etheric mess that is around you. I was sitting on the train this morning feeling really tired so I closed my eyes and I saw myself moving in tunnel. The landscape of the train statio was all around me outside if the tunnel. I could see through the tunnel. I was definitely moving/projecting from my third eye. I have never exerienced this kind of third eye opening before today. I have experienced other floating cradling rocking like sensations when having acupuncture treatments. I am also starting to see people’s auras. I have been. Reiki practitioner and spirit medium for client, family and friends for 17 years. I feel, see and hear spirit around me especially my cats that have crossed over. I am new at experiencing astral projection. I am happy that I came across your article. Interesting and timely read. I was just sitting on the train and closed my eyes and saw myself traveling through a tunnel. I could see the train station outside the tunnel. I was definitely moving/projecting. My third eye was open. It is my second experience with astral projection. I also had an experiences when I was getting acupuncture where I felt like I was being rocked or cradled. I have been a channel for spirit for Reiki clients for 17 years but haven’t really learned much about astral travel. Fascinating. The understanding that we are all One is true, but it is a complex experience in reality. On the physical level, which we are experiencing, separation is what is happening because we are in a fallen state. In spiritual teachings there appears to be many levels to reach, even in biblical (Christian) teachings there are levels spoken about on the angelic plane. So the answer to your question can depend on your level of spiritual evolution, the context of which is enormous. What is important is to make meditation part of your daily life because it is through this practice that you can involute back into a state that takes you to Oneness. As it is now, humanity is being pulled out into an exvoluted state where there is no sense of the Self, let alone oneness with other humans. Thank you very much Jewels l truly appreciate you respons about me seeing wings. I am fairly new in all things spiritual so l was starting to worry and couldn't find much about it anywhere . How lucky! Yes, you are normal, perhaps angelically normal :) Experiences of meditation are primarily personal. Visions come and go. Tune into the space, feel the flavors. Try to get the ordinary mind out of the way and enjoy the stillness and softness these spaces can bring. Just BE and see what opens. Perhaps it will be your heart center? I have a question that is baffling me lately. Is it normal that I see wings, huge wings everytime l close my eyes to envision my energy or meditate ? There is not a one size fits all answer to your experience. It is personal to you. Look at the symbology of what this may represent for you. The front door is usually what people use to enter your home and the home usually represents your space or your haven, the place where you seat your soul. Ask some questions about how open you are to people entering your space. Are you an open person yourself, or secretive. There may be people or presences trying to connect with you but can't get through to you. Is it time to be more open with who you are and how you feel - could be time to confront issues you have been hiding. Without knowing your personal situation, it's not easy to answer this question because there are variables. You are welcome to privately contact me if you wish. Congratulations Wendy. Enjoy the experiences. You are in a space beyond the ordinary mind. Stay centered. I activated what i think to be my third eye last night for the first time.I felt as if my mind was free and out of body sort of The colors were crystalizing clear ,sharp. I felt i was in my head floating with these colors that move swiftly. I was able to clear my mind an focus on freeing myself an lookinh for guidance. Sharon, there is so much context required to give you satisfactory answers to your inward questions, very little of your experience is black and white. When we try to fathom these encounters with our ordinary mind we are attempting to make sense from the small human standpoint. When beings are ‘darker’ in nature, it doesn’t necessarily mean they are lesser or of a fallen nature. Dark can mean depth how beings appear to you can be a mirror for your own state and level of consciousness. This state also relates to your higher self which we are not fully aware of. There is a beautiful word that I love to use when speaking of angelic beings and that is combinessence. We are unable to have an experience with angelic beings unless we are part of the experience. It is just not possible. You will have the feeling of merging, intertwining sensations. The experience of Christ is a state of consciousness and not one of separation. The merging is sublime, the feeling extraordinary. You are welcome to contact me to discuss further. My details are on my profile. I meditate with eyes open but can feel my third eye is activated. I'm viewing through the third eye even though my physical eyes are opened. I journal the experiences that are beyond the extraordinary. Yesterday I had another one of those extraordinary experiences traveling the universe. Billions of stars, colors, etheric mist, vortexes, black holes. I am usually visited by a light being, but this time was different. There were several and they were far more present and powerful. Sometimes the beings are darker in nature though. I ask the light beings to infuse me with their light so that i can better understand and serve them. This time they came closer to my body than ever before. Was each visitor a different being or was it my higher self visiting over and over, appearing brighter and brighter? I suspect the later. Two of the visitors hovered closely then merged with me . I was somewhat frightened and at the same time yearned for them to be part me. Each visit was followed by a desire for “what's next”. Just before i would stop the meditation a brighter one would appear. Finally the brightest ONE appeared..pervasive..larger and brighter than the others...filling the room. This One was different from the others....it filled the room. I wondered if it was Christ. The moment I had this thought it began flashing like a strobe and shining even brighter as if to confirm my thoughts. I asked Him to reside in me, as me, through me, so that I may give this gift to others. He permeated my Being... Words can’t completely describe these wondrous experiences. While traveling it feels as if i’m inside the ultimate virtual reality. My eyes are the portal to this Greater Other Dimension..God. A reflection of a divine intelligence. I see the luminescent entities as etheric mist and points of light. I see what I believe are entities as swirling vortexes. They appear to have an intelligence which is why I refer to them as an entity. Then there are the points of light which I refer to as the light beings. I can only see them with my peripheral vision. If i look directly at them they disappear. I ask so many unanswered questions of each being. There’s a need to show others the light that proceeds a divine encounter. But how do you share the truths revealed in such an experience? Im seeking guidance to maneuver through this magnificent mystery to find the answers. Who are these light beings and why am I being shown their presence? I have faith that I’ll be guided as to what to do next. Be patient,still and listen. I would love to know if others have had similar experiences? Thanks for your comment Karen. There are several levels to your experience. You are welcome to contact me via the link on my profile as I can interact with you faster than I can here. The fan could be representing something similar to a vortex but what is happening is a cleaning effect is taking place. This can happen from a higher space where you are 'trying to open' but are not connecting. It's possible you are being helped. Your column of spirit above you was clogged. Secondly the discs can represent a feeling of not belonging and also not feeling supported. More to see but it's not so easy here. Hi Claire, There certainly does seem to be some sort of resonance according to what you have written. On an energetic level, you are both being affected by your interaction. Even if he isn't 'the one' perhaps something will develop that is beneficial to both of you in terms of an awakening experience. The laughing experience was an opening of course. You were able to shed something through it. Whatever happens, don't lose your centeredness. I've had a couple experiences with man I'm not involved with, but who is a good friend. The first, shortly after I met him I felt pressure in the middle of my forehead while I was talking to him and I pushed out a bubble (to relieve the pressure) that was my voice saying "I'm falling in love with you" and I looked at him and he looked totally shocked. That's the only time something like that has happened. Also, a few weeks ago we were laughing at something funny. I was laughing really hard and I felt a layer peel off one side of my face. There was another time when I was in a meditative state and saw a string from my heart and at the other end was him. I was casually thinking about him the other day and then it came through really strong to me, so strong that I couldn't shake it for a few minutes, that he's the one I should be with. Thank you . And i don't feel scared . Just that as i've said , I just started . This was my second day. Second meditation . First was quite calm and only saw few faces and an eye looking back at me. Second time was way more then i expected. Some of the things were very clear. like looking with my eyes opened , not closed. And that part about seeing a brain, flashing all kinds of colours at the same time and i watched at it for what it seemed for quite a few minutes until afterwards i opened my eyes. That was the last thing i saw and it really stuck in me. Hello Mark, Some people will have spontaneous openings with their third eye vision when they start meditating. This is an individual phenomenon. With third eye vision it's not uncommon to see faces change as if you are seeing through them or some peripheral image of them. It can also be a reflection of yourself you are seeing. These experiences are not black and white. Similarly, with your visions that appear more transparent, as if you are seeing through or beyond the normal physical level, don't worry, you are not going crazy. You are seeing at a more fluid dimensional level. Let these experiences stabilize and if you begin to grasp onto them with your ordinary mind, which is trying to make sense of everything, it's possible you will prevent further experiences. But, also be careful that you are in your body when not doing meditation at home. if you are walking around in busy traffic, or on trains or buses where the environment is not so clean, you can open yourself up to unclean spaces, and have accidents if you're distracted. Using the third eye, colors and views become more vibrant, they seem surreal but are in fact more real, more beautiful. This is normal. It also makes you wonder why the world is not normally this bright!! With your practices, try not to grasp onto what you are seeing. Let the experiences come and go. 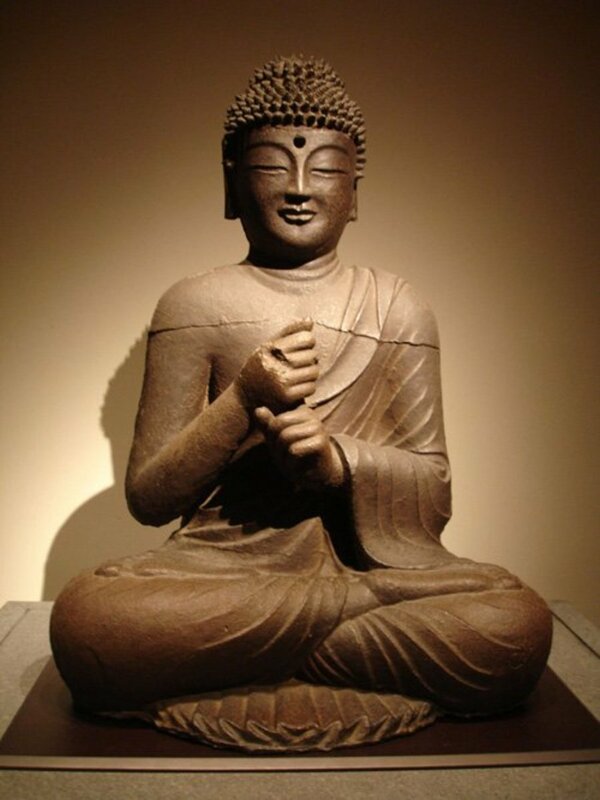 There is a saying "if you see the Buddha in meditation, shoot him." If we make our visions too much like entertainment we will lose the ability to have experiences like these. Keep your centeredness and explore these realms ensuring you are in the middle of them from a fluid unrigid standpoint. This will strengthen your practice. Hello, Was searching for answer but never found it. While meditating , wich i started recently. I've been seeing many many faces changing , scenarys changing , a lot of stuff. Eyes , especially only 1 eye , Colours , Animals , almost anything. But last time i did it , what struck me the most was Seeing human shape body an i could see through his brain and it was like an active rainbow , all of the colours was changing and the brain was sparkling like i dont know how to explain it. Hi Anne, Often the purple color equates to being in a space beyond the ordinary mind. There is a depth to the space. I often see purple that melds with blue, then black, sometimes back to purple. At the stage of going deeper the sense of color is replaced or is in the background. See if you can sense presences with the image. Not everything is as it seems and we tend to use our ordinary minds to discern an image as if finding a 'logical' explanation. Go peripheral with images to get a sense of what it is presenting to you. If you need to talk further on your personal experiences you are welcome to find me via FB. Details are on my profile. Hi! Just wanted to ask, I'm seeing an image every time I'm doing my meditation. And also I saw a blue and purple color while meditating. I wonder what was that mean? Get in touch with me using the information on my profile and I may be able to help you. Send a personal message on my Astral Jules Facebook page. Did you have the issue before doing third eye work? Firstly there needs to be a deconstruction of the concept of dark or black colors representing evil. In meditation there is often a black space, it's common. Not everyone sees bright colors and so to equate bright with light is a mental concept that doesn't help at all. There is often a texture with the black as if it is black velvet. This is subtle but with time it becomes tactile and alluring. It is something to rest on in the space or it takes you to another layer. 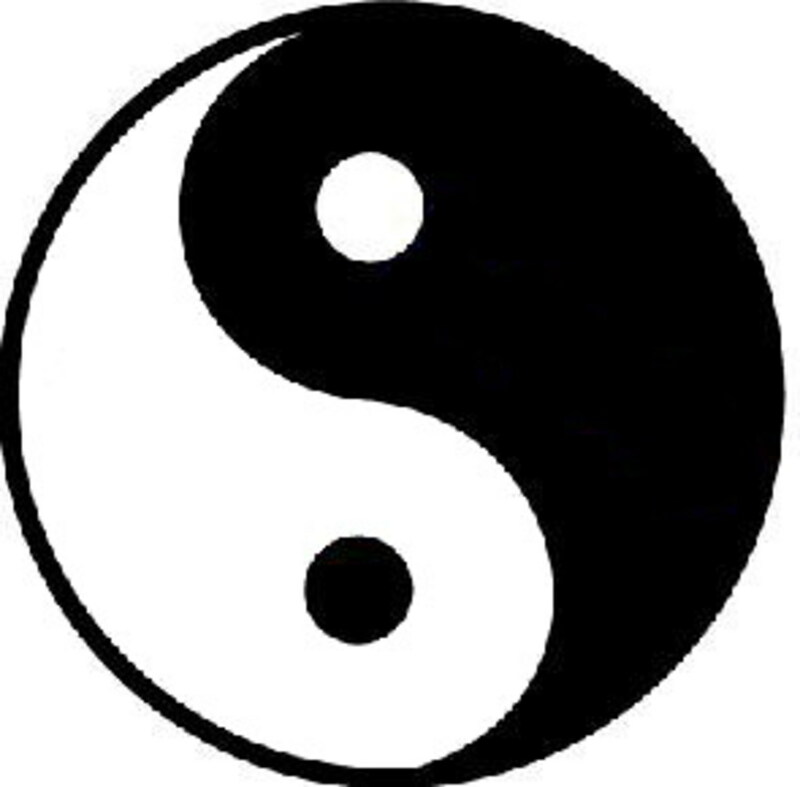 Dark blue and dark purple and black are common spaces in deep meditation. Don't fear them. If there is a heaviness in and around the head it is likely you are trying too hard and the mind is engaged. Wondering if you are doing it right, grasping onto observations of experiences is engaging the mind and this can cause tension. Another experience is that meditation in the early days will highlight the habit of a strong mind. Actually, even long-term meditators fall into the trap of using the mind in meditation. Learn to let go of thoughts, alleviate the tension, deflex the muscles around the forehead that are grasping onto thoughts. If you need more clarity, please get in touch via personal messenger on my Facebook page. The details are on my profile. i have a question i dont know where and whom to ask but maybe someone here might have general idea regarding my question, i been doing meditation for too long but never tried to open up this third eye thing never felt the need. i do meditation for generally about 15 to 25 minutes, recently i tried to open my third eye just focusing on it don,t know a lot about it but during this i felt too much pressure its kinda scary. i feel like some kind of black/dark circle of like suddenly come from top of my head or sky and go down and this sensation gives me chills also distract me at the same time and this happens multiple time during this 20 minutes of meditation if it was white purple or any other light than i would not have any problem buts black/dark thats why i am asking. what is it ? is it ok ? should i do something about it ? Perhaps you need to notice how you are holding your body as you meditate. Is your jaw clenched? If so unclench it. Do you normally clench your teeth which affects your jaw? Perhaps this is the problem. If you are having incessant thoughts you may have a frown or clenched forehead, if so unclench the forehead. 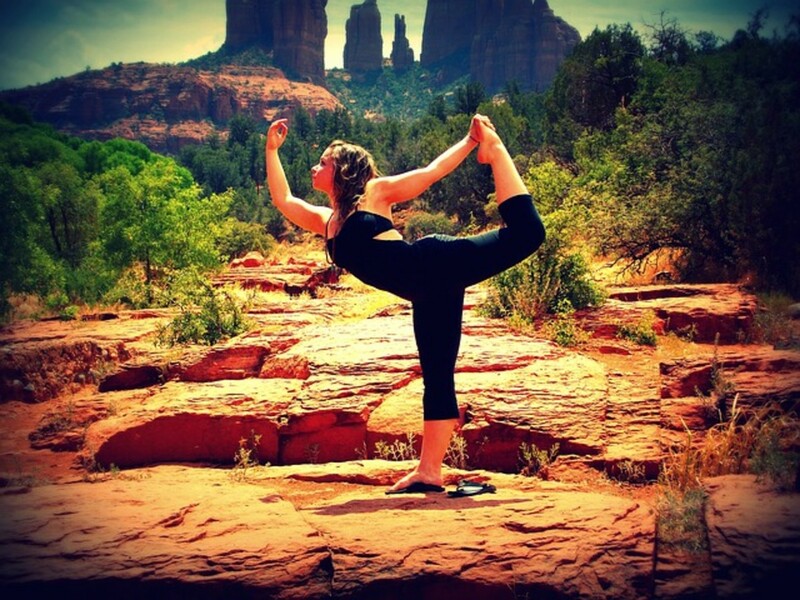 Soften your position to allow a more of a flow to the experience. Unconscious tension can be a problem to your experience. If your experiences are a worry to you then by all means get a doctor to check you out so you can rule out any physical issues. i have been doing meditation, i have been experiencing halos around light, flares and sometime while meditating i get twitching around jaw, around eyes and my third eyes, and i get crackling sound at my left jaw when i move, should i seek doctor or is it normal? Enjoy the experiences Jami. Your senses are likely to become more acute. Let things come and let them go. Hi Paula, It is helpful to do a workshop but it's not mandatory. And you are right, practice is required for any in-depth work to silence the mind and experience your inner landscape. Try the video in the hub and see if that helps. And get in touch using the profile details. Maybe one can be organised closer to where you live. "Meditation," truly meditating as I've come through study to learn that it is, I'm afraid is not at all what I casually refer to as my sense of meditating. Rather, I will intentionally close myself off from the world of noises, distractions, etc and go into very deep thought. I know, of course that this practice of mine is simple physical and mental "relaxation." I have this belief that the authentic act of the meditation you write about here, is only reached through knowledge and practice of it.....that it requites very special skills or abilities. I feel this way because I've not ever been able to experience the feelings, visions & out-of-body sensations you describe. Yes, this frustrates me. I would love nothing more than to be able to Meditate~in the purest form. So Jewel, I will take your advice and search for a workshop. Because of the area in which I live, I have no doubt I will have to travel some distance to attend one of these workshops. This, in itself is an issue for me. I hate to drive, a lot of traffic causes me anxiety and add the time and distance and I'm a mess! LOL Is there any hope for me? 1. I am aware of experiences of heightened vision, either sight or smell. The senses can become more attuned and perception is more acute. The particles are often described as pixels and can be a variety of colors depending on the person. It is an individual experience and often happens in the early phases of a beginner's meditation experiences. Having said that, this does not mean experienced meditators do not see pixels, it's more that they go deeper more quickly and bypass them. 2. The spicy food experience could be just that - spicy food. However, it is common for openings or flarings to happen to your life force. An awakening is happening and this can occur in different ways and again it is an individual experience. What happens for you does not necessarily happen to someone else. The energetic openings or tactile sensations in the body of energy go hand in hand when using the third eye. They are often subtle and can be built up depending on your practices. 3. As per question 2 - the vibrating is also a common experience. Many people will feel vibration between the eyebrows spreading across the forehead. There can be headaches too, this happens when the structure of the third eye is becoming active - it's more a re-emergence of a body part that was stagnant but is now coming alive. The unclamping or cleaning of the structure through use can feel like having a headache. This usually passes after a few days of meditation practice. It is important not to grasp onto the sensations but soften the forehead as the sensations occur. There can be sensations of heat throughout the body. Again the vibrations in the body can be an awakening of energy centres. Let them come, let them go. Be vigilant during your working day. Practice being focused when at work and leave your meditation practice at home in a safe environment. The bliss feeling is wonderful, and it is lovely to be able to push the body away for a time - similar to sleep. But you need to use discipline at work even if you are having flarings in your energy. If it is a problem, stand up and walk, breath into your belly and ground yourself more. I hope this has helped. If you have further questions please contact me using the information on my profile page. I have few question on physical symptoms I'm going through, i have been practicing meditation for nearly two to three months. 1. when i see sky i see a lot of white particles a million of them, i see the same on object like monitor or bright white surface , and when i see other surface or any surface dark, green or wall i see energy particle or i can say flames kind of moving fast, i see it 24/7, i dont know what it is, but i can tell my eyesight has been more clear since i started meditation no pain most of the time chill. 2. 1 get pricking in and around my chest after a spicy food and after a a meal, my concern on this is when i get pricking when I'm doing my job i freeze and my concentration goes on this than my work, though the pricking is slowing down due gods grace, however, during meditation(from normal to deep) even for 2-3 hours i fill chill, bliss and no feel of pain i forget myself. 3. during sleep when I get up in between i feel my inner body vibrating hard but I'm not shaky outside. some time i feel vibration either left side or right side. i had other physical issues but most of them are gone due divine intervention. Tawana, your experience was typically an opening of the subtle body known as your Third Eye. The sensations in the forehead are a common experience. It is an energetic center that is felt in the centre of the eyebrows. Sensations are tangible, yet they are not detectable physically, ie a doctor could not pick it up on an xray for example. These experiences are only fearful if you don't have a reference for what is happening. As can be seen from many comments on this article, similar experiences are recorded. Why did it happen to you? Grace could be the answer. Some people will go through their entire lives and never have an experience beyond their physical bodies. You wanted to be open, you were asking for more just by doing practices from a genuine place inside of you. And you were answered with an opening. There are so many answers to this questing "why did it happen to you' and they are fascinating to ponder. The shapes are also a common experience. Many see geometry. It has been said their are presences in the shapes. The spaces of geometry are beautiful. This is nothing to fear either. It's an experience of your inner world, yours. Third eye awakening is not dependant on religion, yet it spans all and any religious teachings. It's even mentioned in the bible - there is a quote in the article. It is dependant on a genuine want to know, which you have. If you wish to talk more about your experiences and confusion that may be attached to them, please don't hesitate to contact me. My details are on my profile page. The last thing the angels want is for you to be closed off from what it is you are seeking. I am a 37 year old mother of 8. I am married and hold close to my morals. I was raised in two different christianity faiths mom/JW and dad/Baptist. I do not live by EVERYTHING but do hold to commandments. I never baptized into any religion but always talked to God and pray. I was in a week long intense bible study. Day and night I would read, listen, and talk about the bible, religion and try to find the truth. One night I went all the way to 4 am and was so frustrated because it seem I still had no real answers. I laid in my bed and prayed. "God I want to know... I need to Know the truth". As soon as I said that with my eyes closed, I saw a purple little light that seemed to be swirling toward me. I hoped up in fear and refused to close my eyes. The purple light was still visible, it transformed into purple triangles and then I saw an Eye. This eye wouldn't go away for a couple days. I saw it all day through my regular vision. I prayed and prayed for it to disappear. It was very scary. I stop reading and studying for a long time. What did I experience? I wasn't trying to "see visions" or open a third eye. Why did this happen to me? I remember leaving my body about 10 years ago. Once I noticed I walked back to it and touched it only to be sucked back in. This is what had me wanting to "KNOW". During this same time I now remember my fore head jumping involuntarily. Everyone thought I was crazy because no one (not even my doctor) could explain why I was feeling this. The jumping was not visible, i could just feel it. I am a person who thinks a lot. Hope you can give me a little insight. Hi Rita, One answer is to keep practising, keep using it, let it open further and further. Stay in the stillness as much as possible. Please get in touch via the Facebook link. Send a private message and I can get more details from you. Thank you for an excellent article on third eye practices and benefits. My question is related to what comes next. How can I develop my third eye bugging me all day long, lol, and interpret what I'm seeing. I can find the right road using my awareness, and things come to me pretty easily. But I feel as though there is more my third eye wants to tell me and I can't interpret the pulses or tingling, although sometimes I can get a vague vision. Thank you. Hello Maggie, It's interesting how these experiences happen. Some are completely spontaneous without cause. Some openings come after an aspiration and desire to do so. Aspiration is powerful and if done with integrity you can be assisted in ways you cannot imagine! Letting your higher self reveal itself is a major goal in spiritual work. Now your 'job' is not to grasp onto having the same experience again, but to be fluid in your meditations so as to facilitate whatever comes. You may re-experience the purple and blue light, I have had this many times. It's a good indication you are internalising your consciousness. If you have further questions about your experiences you are invited to send a personal message to my FB page shown on my Hubpages profile page. Last night, I was in bed and my eyelids were closed. Really weird, as it was as if my eyelids were transparent, or they were not closed, so I still 'seeing' what little I could of my bedroom. Then between my eyes, was a purple to blue light, it was fluid in movement - 'raised' my eyes to the ceiling, so did it, when I lowered my eyes, it followed. Then it disappeared. I opened my eyes then closed them again. The 'light' returned and this time, it spread itself across my eyes, engulfing my total eye span. It made shapes, then kept reshaping. Because of fear I opened my eyes as I scared that I'd see a 'face' or something... After a few minutes of keeping my eyes opened, I closed them again and went to sleep. I have been meditating, and began reading Spiritual Growth by Sanaya, where there is a chapter on meeting your Higher Self, so I wonder if this experience I've explained, is the result. You experienced a shift in the space of your consciousness while in the intermediary worlds (purple space). The experience is likely personal to you, yet there are paradoxes, personal and impersonal become mixed in those states. When you had the experience, could you sense a presence? Could you note the change in the space from one to the other? There is no right or wrong definition here. It is more for you to ask these questions when next the experience occurs. As well as 'seeing' the space, feel the space, let it expand and enfold into you so you feel as though you become the space. It is likely the space involved presences, let your peripheral vision answer these questions for you. This will ultimately assist you with expanding your states in meditation. And as the Buddah says - let them come, let them go. Awe is a beautiful word for these experiences - well done that you could surrender. Hello Jewels. Read almost all the post. I am practising Agyan Chakra meditation. I am able to experience the Purple space for last 10 days. 3 days ago i experienced a circle of silvery shining little white stars . I was in awe and surrenderd muself to it . What does that signify ? Hi Beccie, The experiences you describe in regard to the vision is typical of inner vision. Colors of all descriptions, geometric shapes, gems, images, light. The pressure between the eyebrows indicates an activation or opening of the third eye center. In time the pressure will subside. In the meantime you may feel tingling as well. The sleep paralysis is a different thing. Using your third eye, and the opening of the third eye does not mean you will experience sleep paralysis. This can have several causes and you can google the topic to see other peoples experiences. But generally as you become more conscious of spaces in your sleep, it will feel like you are waking up when you could still be in a space of sleep. Until you stabilize the experiences, fear could be what is creating the paralysis. This is common with astral travelling - the rise and descent out of the physical body is thwart with uncertainty of the ordinary mind and fear often stops the experience. Let yourself stabilize what is happening and flow with the experience. When you are conscious in sleep you can navigate through spaces. You are welcome to ask further questions privately if you wish via my facebook page Astral Jules. Im very new to all of this and im not really sure what im supposed to be looking for to get answers so any help is gratefully welcomed ......but 2 weeks ago i went in to a shop looking for a book and ended up with the owner who turned out to be a medium coming and speaking to me and my mum, after family was brought up she mentioned to me that im going to start becoming aware of things very soon and not to be scared of it and too seek help when needed as too start with ill think im going mad. i then started to go into a nightmare sleep paraylisis (which i have had alot of over the years)? I used to struggle to wake myself up from them but this night in question i managed to open my eyes as soon as i realised that it was happening. so i literally only had 3 hours sleep that night. Please tell me im not going bonkers. Hello Tim, firstly thank you so much for sharing your experience. As I went into the space of it I was drawn by the sincerity of your request - to be removed from the terrible experience that for many was the Vietnam War and to be placed in a more warm and inviting place. I also can't help wondering what would have happened had you walked into the dome. Maybe it would not have been death, but another 'world' or another realm. OK, so on a more practical level - what happened here? The aspiration with which you requested to be removed from this life was palpable in your words. And I'm sure it was palpable to whoever or whatever was listening. You experienced an altered state of consciousness. It was vivid, very real and not something you made up or imagined. Why? Was it because you asked using a lot of will and integrity? Why is a difficult question to answer. The space of the experience is more easily unravelled. I have also seen the black space of stars beyond the tunnel, which was through an involuted practice of meditation. I wonder if you experienced life differently when you returned from that experience. Were you less fearful of life. Please feel free to send a private message via my facebook page, the address is on my hubpages profile page. The conversation is then not public. Forty six years ago (this was during the Vietnam War and the Hippie era). I wasn't depressed and I wasn't high on drugs. I started thinking about how hypocritical this world was. I did not know anything about meditation. I did not know if God existed or not, but I decided to meditate on God. I would lie down on my cot and cover my head with a pillow to block out as much noise as possible, and thought "If you can hear me, I don't want to be here any longer, I want to be with you". I did this for about an hour a day for about a week. One day I was by my cot and a feeling came over me to lie down. I wasn't tired, but I layed down and was in the fetal position, when I saw in the middle of my mind a white dot. I was conscience and could think. I thought "Wow, this is going to be heavy". All of a sudden the dot opened up and became a tunnel of spirals. I started going through this tunnel. I could see the spirals going passed me faster and faster as I traveled through the tunnel. I had the physical sensations of what I can only describe as wings fluttering in my body, a vibration, as though energy were leaving my body. There was a high pitched vibrating sound that went with the flutering and the speed in which I was traveling through the tunnel. I kept thinking with my conscience mind "Wow, this is heavy". It seamed as though I had two minds, my conscience mind was intriged with what was happening and at the same time I felt at peace. As I neared the end of the tunnel, I could see outer space, black with stars. I shot through the tunnel and was traveling at what seamed a tremendous speed. I was heading straight for a bright white star. As I neared this star, it became a planet, off white in color. As I neared this planet, I saw a white dot on it. This became a large white dome in the center of five smaller white domes around it with white (what I can only describe as corridors or walkways) in a geometrical pattern. As I approached this, my conscience mind became afraid and I thought "I'm to young to die, I really don't want to die, I want to get married and raise a family, have a house". My conscience mind thought I was going to crash into this dome and injure myself. I tried with all my conscience mind to bring myself back. It took all my will power to do this. When I suddenly snapped out of it, I saw only exploding colors for a few seconds. When I regained my sight, everything was exactly as it was, nothing had changed, as though it had all taken place in a split second. I felt very refreshed as though I had just awoken from eight hours sleep. I was very curious about what had actually happened and started looking for someone to tell me what I had experienced, but could get no answers. I am hoping that you can shed some light on this for me. Hi Clint, you are certainly in a more involuted space. To be in the 'purple space' (which is the simple name for it in meditation circles) you cannot be in your ordinary chatty mind. And to get to it you need to be using inner vision, and the path to this is via the third eye. When you use your third eye more actively it can become a tangible muscle - you feel it. So discerning what is and is not the third eye can be a matter of where you are along the spectrum of your experiences. You don't have to be in a meditation space, but it often happens when you are. By default meditation is a space of inner centerdness - one would gauge the term depending on their own sense of consciousness. The first time I experienced the purple space was by doing yoga nidra - a relaxation practice. And, according to yogis, the purple space is welcomed as it is beyond the ordinary mind which is where you want to be with a meditation or involuted practice. Hi Jewels. Very interesting read. I am not sure if I am activating my third eye or not, but At times when I lay down and close my eyes, After a few minutes i will start seeing a purple colored cloud type thing. It sometimes starts on the sides and sometimes starts at the top of my vision field and kinda rolls through. It looks like a smoke cloud,always changing shape. I watch it come into view, move from side to side, or as I said earlier, from top to bottom. once it reaches the other side, bottom of vision, it starts all over again. usually only last for a couple minutes before it fades and turns into a white light in more the center of my vision. I dont feel that i am in a meditative state though. Its doesnt seem like Im the one doing it...it just kinda happens outta the blue. I do recall a few months ago that the cloud was a green color, which I had never seen before, and I have not seen since. Do you think this is a third eye activation?..I have also heard co-workers thoughts...with the one time there being about an 1/8 of a mile seperating us. What do you think? I don't use tapes or musical stimuli for meditation practices - not any more. Past a certain stage you want to be guided by your inner self and not be led by someone else's direction. I'm not saying that in the beginning these tools are not helpful to get you on your way, but it will not pay long term to keep relying on them. Not all people are going to have the same experiences. And therefore not all people are going to be led through a door that opens to another dimension. They are just words and perhaps you are not ready to move forward. And I'm not sure I've seen a physical door in my meditation practices. I have however, and this is common, to see purple light. That space of purple (called the purple space via my own school of meditation) is a platform or node that is beyond your ordinary mental consciousness. Interestingly it's a space very welcomed by meditators because it shows a good state of involution. So well done Murthy for getting to that state. Do not use imagination in meditation. Let the experiences come and let them go. Using imagination can keep you in a lower state. And how will you know what is a real experience and an imagined one? 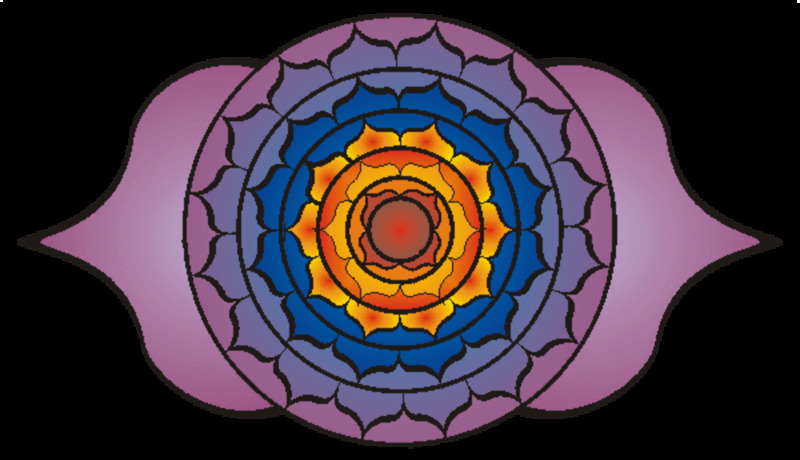 Stabilize yourself in the purple space and stay centered there. Let your own experiences unfold and don't worry about a door. As for past life and regressions. These experiences may not come via a meditation practice. Send me a personal message via Facebook at this link. http://facebook.com/pages/Astral-Jewels/4807462953... I can send you links to regression information and perhaps people doing regression in your area. Some more questions, When I use these videos to get relaxed state to find out my spirit guide, They all ask the listener to see a door that opens up another dimension , But I see lot of purple light , But do not see any door or not able to imagine the door , At what step this is possible and able to imagine at will and see that door and to see spirit guide , Also same with trying to find out past life or inner self, How can I advance from this state to next level. Hi Bonnie, it feels as if something is 'knocking on your door' I'd be tuning into what is being passed to you in terms of impulses. Do you doubt yourself, your abilities and your ideas? Send me a message via the FB page mentioned on my profile. So nice to find this information. I have had some interesting experiences and would love to understand. At the time I was frightened and now that I have read a bit perhaps I need not be afraid. Can you she'd some light on my experiencing my feeling and hearing (hard to put into words) my name being spoken on my 3rd eye? Hi Murthy, sounds like you're doing great. I suggest staying where you are and not trying to be anywhere else. Let it stabilize and the space will change - not because you do anything but because it happens by itself. There is a saying in meditation - 'Don't Meditate - Be Meditated' For this to happen you take a more yin stance to the practice - means no trying at all. The only trying is to stay out of thoughts and go back to your third eye and the space if thoughts happen. The cramps and intense heat - blockages being unblocked. If you can let that keep going and un-grasp the cramps, your practice will be easier. Not an easy feat however. Visions can be a by-product of meditation but remember the main reason to do it is to be in yourself and be present with yourself. The Buddhists have a saying "If the Buddha turns up in your meditation shoot him" So where you have people longing for vision, the very disciplined meditator has a different view. But it is good to have vision from time to time - it helps expand your awareness, your state of consciousness. If you need further correspondence please use the private message via facebook - available on my hubpages profile page. Nice help for all seekers, Great! !, I see lot of purple light and do not see anything beyond, I also trying astral body, Sometime , I feel Kundalini moving to top from middle of my spinal cord to little below throat area, I feel cramps and intense heat, But how do I see images and other visions, Kindly let me know , I read people saying concentrate on peripheral vision, Going to do that today, But any more help is great!! The answer why is difficult. You need to feel what was happening for you. It felt welcoming and a space of rest. But your mind got too much into the experience - which is very common. It's the minds grasping that stops the experience. We always want to know why and when we look too much and become too inquiring - we block the experiences. It takes practice to let these experiences come and go. Try not to expect the experience to come again, paradoxically by doing this, you may see it again......or you may not! Hi Jewels ... I started to really meditate today.. I practiced since a 2 weeks ago but only before sleep. So today I did it at morning without any kind of sounds... First I saw some kind of orange waves coming and after that I was in some really wonderful porch , with beautiful flowers and a great view of ocean , I got scared and then I came back as soon I release where I was... What happened? How can I stayed more time there, and why this happen to me ? there's some reason? ... I'm reading here to see the orange waves is pretty normal but ...How did I get to that place?.. I felt I really was there I even touched the walls!! I'll also be able to ask more questions with regard to your situation. I have had some awesome visionary experiences whilst meditating being in space like I'm actually in the Galaxy. Waking up in dreams flying and being paralysed when I awake where I'm not back in my body. But now I'm seeing black cloud like shapes before my eyes and I just feel extreme fear they scare me and I have to stop. I don't want this to hold me back in your opinion what possible reasons for these jet black blobs ? Ahhhh......one of the struggles of the meditator - not all days are good! Experiences come and they go. You will often have experiences you can't replicate, and it's the mind primarily that wants to replicate those good experiences. So a good rule of thumb with experiences is to "let them come, let them go." Try not to let the disappointment of 'ordinary' experiences stop you from your practice. 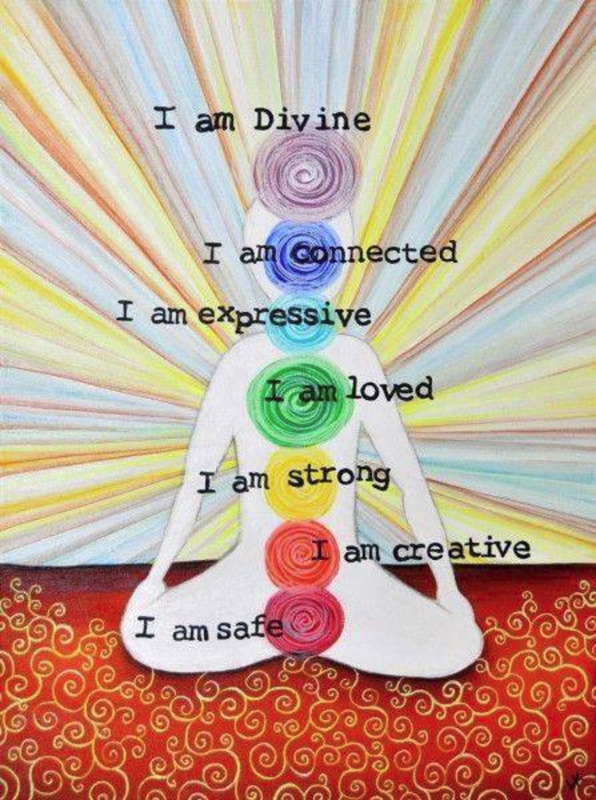 The ultimate aim is to be in yourself, be centered. All those lovely colors and vibrations are wonderful and fulfilling but to stay centered whilst you don't have them - that's discipline. Interestingly, fatigue can often follow a heightened experience. If you are opening your energy, which from what you described is what happened to you, there is a letting go that has happened. It is tension you have let go of. 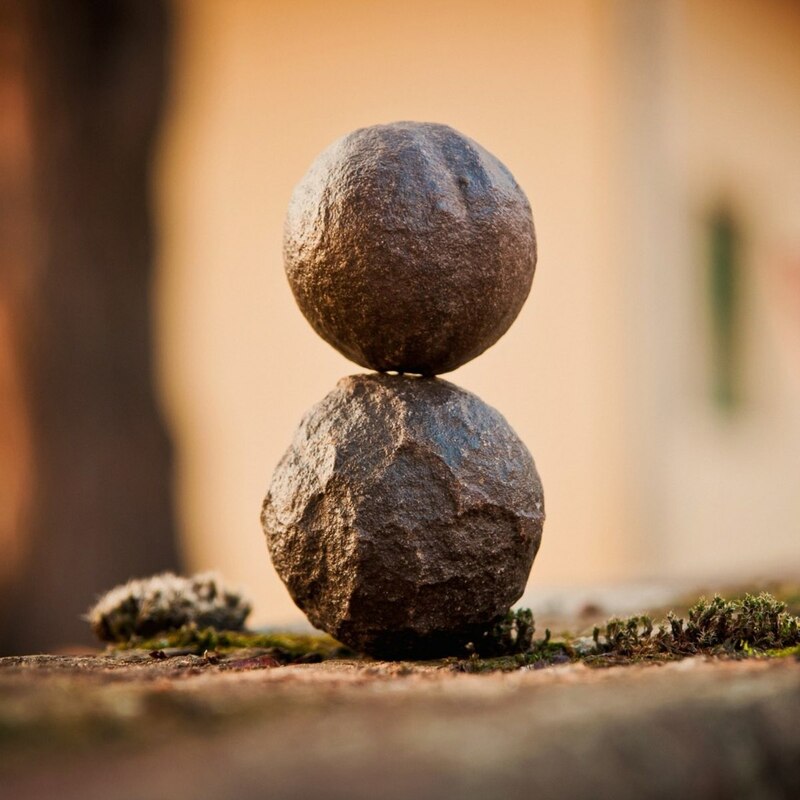 In the initial stages of meditation practices - there is fatigue that follows that letting go because you have been unconsciously expelling energy holding on. The body is wanting to rest from that. Take it easy perhaps - be kind to yourself. No colors? It's fine - sit with the space and let the space unfold. Go with what is happening, not what you are wanting to happen. Hi flowenn, thanks for your posting. The headache is likely to be caused by the opening itself. An ungrasping is taking place, you may want to help facilitate this by being conscious of how you are holding your forehead, and your thoughts.. By default many people have a reflex frown which creates a tension. As you use your third eye, it's a slightly more inner vision than normal which enables a different perspective, a different standpoint. You see using a different lens. 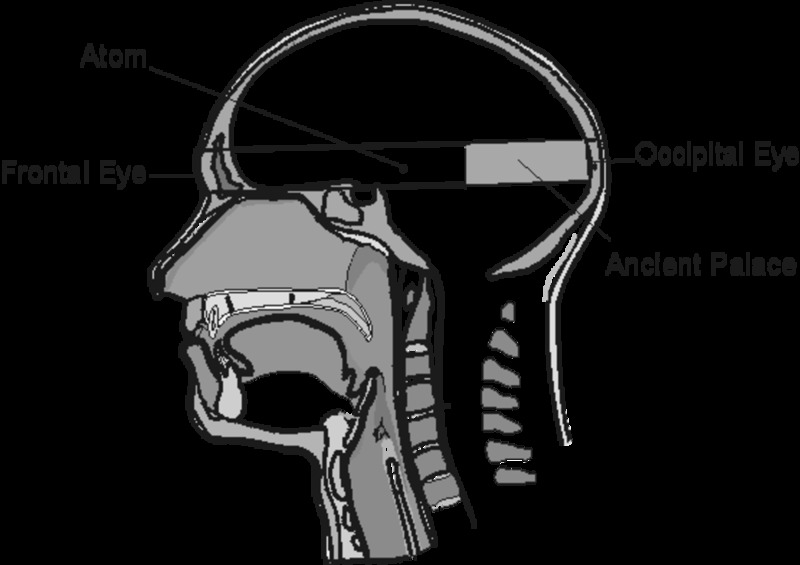 If you use the throat friction more, taught in the video, you will have an active role in feeling your life force, or etheric layer. The more you stabilize your experiences the more you can see. Colors vary. Tune into the feelings, or what's behind the color to get more clarity. You are welcome to send a private message via the FB page on my profile if you have more questions. i have recently begun meditating and doing exercises to open my third eye. after a few days, i have noticed i wake up with a slight headache that goes away soon, but i also have very vivid dreams now. today i was outside meditating and i put my hands to the earth and felt the energy pulse through me. as i looked at my hands, i could see my skin begin to change color. it became pale, and as i focused on this they became a light blue color. i was able to do this multiple times, and i actually saw this color happen, i wasnt imagining it. can someone give me some insight as to what this experience was? was i sensing my energy flowing through my body or was it something else? any information would be appreciated, thank you. Hi Neal. I can't see auras either, at least not the mainstream kind. I can tune into people's energies metaphysically quite easily but I don't see colors that easily. Purple and blue in the third eye tunnel - excellent. You know when I first started doing practices I complained to my teacher "all I see is purple, I don't get green or orange or red like others do." He laughed and said "purple is where most people want to be." I later learned this is quite a deep state of consciousness, named the intermediary worlds by A Language to Map Consciousness by Samuel Sagan. You know you are out of your ordinary mind framework when you are in this state. Vision is different for different people - it's never a one size fits all phenomena. Please feel free to send a personal message via the FB link on my hubpages profile. It's called vision haykey. Well done. You know I had that vision of the night sky with stars. It's apparently quite common, yet I've only had it once - absolutely loved it. But have never had it again sadly. When you see or feel presences, tune into the feeling it gives. Be open unless it's something you don't want around you. 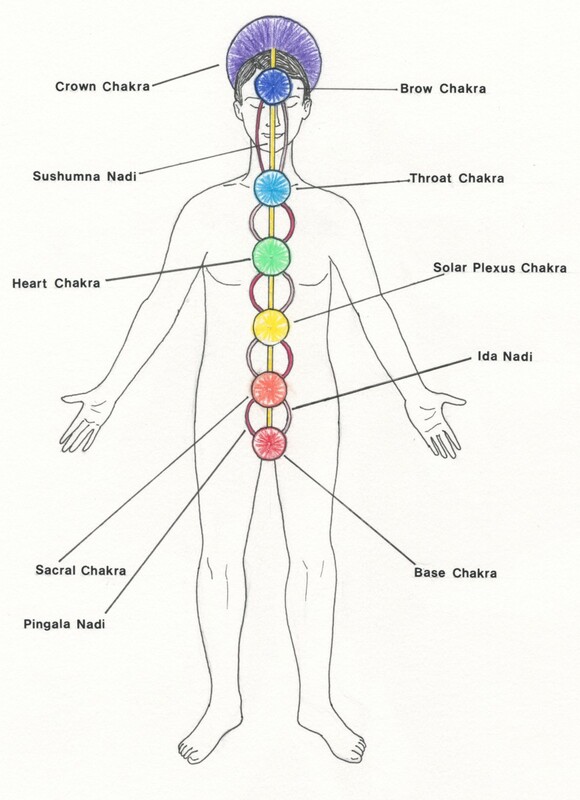 Auras, as with your teacher, is basically the energy field around someone. It's no biggy. People's auras change color often so it's not something to get too caught up in. The fact of seeing is fantastic See how you go in the next few weeks and let me know if you need. Better to send a pm via the FB address on my profile. Your comments are private. hey just a quick question as i lay to go to sleep last night i had my eyes closed and i felt as if i was falling to sleep but i see the dark sky with stars which i immediately started to panic as i didnt think i would actually see it like others said and woke up which i was feeling a present in the room if i was asleep i dont know if felt so real thou. so went bk to sleep anyways and today i keep seeing like a glow round people not everytime but i was sat in a class room and the teacher was talking to me and i could see like a green glow round her. never ever seen it before and when i stared at the wall or somewhere for a short white their was like figures of people that came and disappered as i lost focus what can this be. Hey, Jewels. I’m pretty sure my third eye is awakened, because every night I go to bed, I see purple and blue colors without trying. I had a few sleep paralysis experiences. And I even woke up in the middle of the night a couple times and saw a white electric ball floating above me across my room. My question is, how come I still can’t see auras? Also, how can I move forward, for example, gaining psychic abilities? Thanks for you help! Your English is good. It should disappear with time. Lets keep an eye on it over the next week or two. Stay in touch via the FB page where you can send a personal message which is private. I can ask you more questions also. The link is via my profile page. Jewels, Sharp Jabs would be the exact term. It is like I feel something moving around my forehead jabbing at certain places(Kinda feel heat). I am not trying too hard nor I'm interested in opening my third eye force fully. Is it ok for me to continue meditation even if I feel the Jibes, would it disappear after sometime?. Sorry for my english, I'm not a native english speaker so please bare with me. Thanks. Hi Bobby. 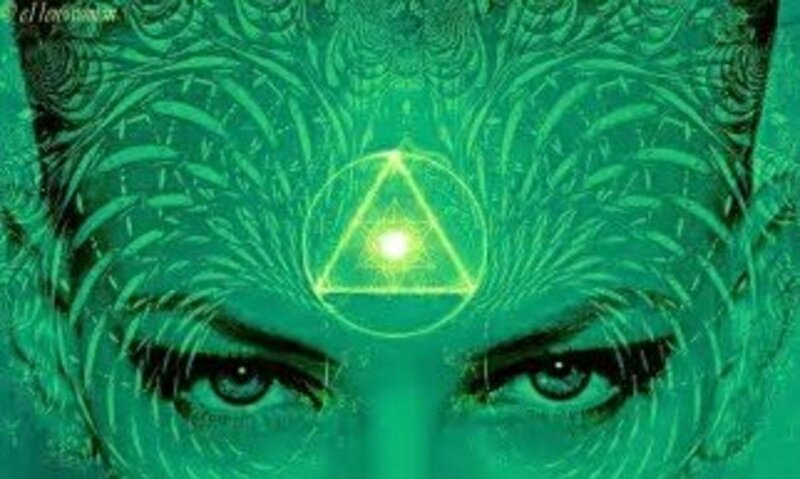 The third eye itself is not what heats up, it's the life force stuck in the cranial area. Especially if you continue to use the breath while meditation, you may find there is a grasping happening in and around the skull, including the forehead. It can feel like sharp jabs at times. This stuckness is trying to clear and it can hurt for some - depending on how strong the mind is at clinging on. With the video above you can learn the process of friction breathing. It is a method of activating an energy center in the throat and it acts as a way of focusing back to the center when you go too much into the ordinary mind. This, by the way, is not a breathing technique that you focus on, it works perfectly with the third eye to open the life force and at the same time keep you focused. You drop the need to use the breath after awhile, and just BE. So what you have to look for here is a possible stuckness in your mind as you are meditating - perhaps a "trying too hard." Be more yin, soften yourself in the space and let yourself be meditated. See how that goes. In the Awakening the Third Eye book there is a process called uplifting. This comes in handy when clearing grasped layers from the skull. You can learn to lift it up when these sharp jabs or heavy layers are felt in and around the skull. Hi jewels, I've been meditating since a month. I generally focus on my breath but from past 1 week my forehead is heating up like someone is pointing and moving laser around my forehead. Especially in the third eye area. While I was searching about it I found someone saying to stop meditating if the third eye is heating up. Any help is much appreciated. Thanks. Short answer - Yes it can. And it's very common. Meditation and relaxation can result in a release of emotions. Energetically you are experiencing a "going inside" which can result in an honest connection with what is going on with you. Most of us cope with the world, hold on for dear life. And once we start dealing with this 'coping' we find emotions and feelings we never acknowledged before. Let it happen if you can, it's part of the process. If you would like to share more personal experiences please connect with the FB page on my profile and send a private message. Your messages is completely confidential. Hi Richard. Some people have spontaneous openings of their third eye, others no. Why? It depends on the person and what they need. Energy centers are not always open permanently by the way. It's a work in progress for many. I conduct workshops specifically geared toward the third eye energy center. Once open it has to be used in order to remain active. Does healing sound or sound meditation can activate your third eye and other energy center? Be spontaneous, particularly in the beginning because you don't want to be 'making it up.' Let the third eye do it's thing. There are many and varied experiences as you can see by the many posts. What is an experience for you may not be for another. Try not to scrunch - this feels like a grasping. But I can understand you doing it. In the beginning there can be vibrations, denseness, buzzing feelings. For some there is a slight headache sensation. This happens because there is an ungrasping not a grasping. There is a release happening. If you get a sense of frowning, lighten up a bit. Treat the center of your eyebrow as a temple - it is afterall the only gate that takes you within yourself. You will know it's opening by the sensations and vibrations, colors and patterns. There is an adventure waiting in that space. If you listen to the video and do a few practices to it you are very likely to have more tangible experiences. Well done. The third eye space is described as fluid dimensional - the space changes and the structure of third eye has dimension - it's tangible. But this tangibility is also fluid at times. Sometimes it's very thick and dense, sometimes light. If you try too hard you can actually grasp onto it and this makes it more difficult to use. There is an oscillation between the ordinary mind grasping and then letting go into the third eye space. It can become a space for peripheral awareness, also for the higher mind. I suggest you use the video to do more practices and hone the structure. With meditation not all days are the same. Paradoxically trying can make the practice difficult. Letting go helps. And yet you don't want to be too slack. Hello, I'll make this quick. I believe that I've had some spontaneous third eye activity and looking to confirm. Over the past 8 months I have had two past life regression therapy sessions, during which I felt immense pressure between my brows causing me to scrunch my face really hard during regression. Recently I was laying in bed relaxing and felt myself falling into hypnosis (which I've realized is a fairly frequent thing I do without trying). Immediately it was like I was looking thru a telescope or something... Anyway, the image inside was of the beach and it was so incredibly clear like super high definition, as clear as if it was actually there. clearer than i have ever been able to picture something in my mind. I lost focus and it went away. About 30 seconds later my face started scrunching and I got the pressure between the brows. This time a black circle appeared which then turned into a deep blue glowing pattern, almost Celtic looking. It lasted about about a minute and disappeared. Could this be my third eye beginning to open? How will I know when it is? Should I try to recreate it or let it spontaneously appear again?? Any advice would help. Thank you!!! As a rule of thumb with meditation - I let the experiences happen and don't make them happen via imagination. Using your imagination is using the ordinary mind which is what you want to learn to bypass to find stillness from the chatter. Auras change with moods, so it's nice to see colors but they are not stagnant. When meditation is done regularly the body of energy opens, a letting go occurs with grasping of your physical body. The shocks you are talking about sound like electric friction - I get those too depending on the type of shoes I'm wearing. When the body of energy opens there are sensations that occur that accommodate the awakening. It's a broad topic and not one I can cover here. Making people calm by your actions is usually your personality, your presence and not the result of the third eye itself. It's how you interact that matters. You're having lots of experiences, keep going with your practices. Another information, i got consciousness not by meditation, but i became curious on my-self and often asked questions on me like "who am i? ", "why i am living" and for what? This made me to open almost all chakras instantly. I think there are many ways to understand self or make realization. Still i can feel that this is just the beginning of awakening. Everybody have different realizations and uniqueness, but for oneness. One must do some tests or re-search to understand selves. I saw many websites with different perspective, in which your's is one. Keep posting and thank-you. Control it? Embrace it. What is happening is the structure of your third eye is being flexed. The more you use the third eye the more it becomes like a muscle - just like your arm. Keep using your third eye, in meditation particularly and the sensations will likely soften during the day in your normal activities. You want to learn to use it in your day to day activities also - not by being vague and in a meditation space, but by being awake and aware and you can use your third eye as a centering device to do this.